than 40%, Amtrak has requested to make three more round trips (currently 7 round trips) on its Hiawatha Service from Milwaukee to Chicago. To accommodate this increase in service on already congested shared track, freight companies are demanding major infrastructure accommodations that would allow for increased freight traffic and the construction of siding tracks to hold idling freight trains adjacent to homes, schools, businesses, and nature preserves. IDOT (Illinois Department of Transportation) and WisDOT are recommending projects that include a two-mile long freight train holding track in the Village of Glenview and a three-mile holding track in Lake Forest. More than ugly landscape, the issue is the safety of surrounding communities. Increased freight traffic and new siding tracks will have a significant impact on surrounding communities in many ways, affecting everything from quality of life to health and safety. A 96 car freight train loaded with hazardous material derailed in Lake Forest on March 15, 2017. 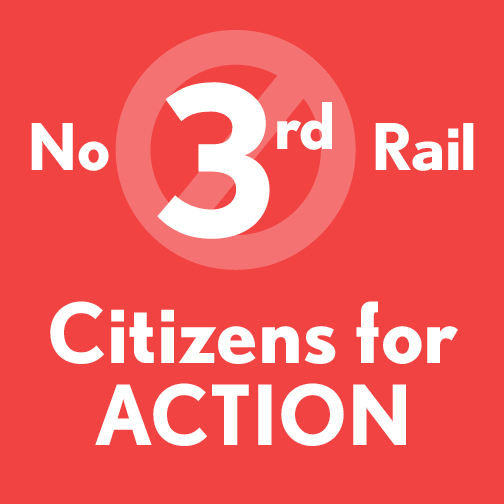 A multi-community grassroots campaign called Citizens for ACTION (Alliance to Control Train Impacts on Our Neighborhoods) has been formed to stop the proposed third holding siding tracks for freight trains that will impact the quality of life, health, and safety of residents in Bannockburn, Deerfield, Glenview, Lake Forest, and Northbrook. You can make a difference! Contact your local and state government representatives and make your voice heard.